An AutoZone commercial actually told me what was wrong with my car. I know the watermarks on the black background kind of ruin the effect here, but it still made me scream with laughter when I saw it. It’s hard to wrap my head around this, but a commercial actually solved a problem I was having. About two weeks ago, I stupidly left the gas cap on the back of my car while I was filling up my tank and then forgot to screw it back on. I decided, since there’s a little door over it and some kind of metal flap over the hole, that I didn’t need to go buy a new one. 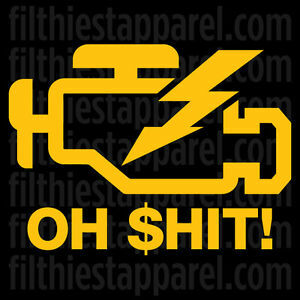 Everything seemed fine until about 3 days ago, when that blasted “check engine” light came on. I had flashbacks to when my dying Ford Taurus’s “check engine” light wouldn’t go off for over two years so every year at inspection time I had to go through the unbelievably complicated process of obtaining a waiver from the DMV and spend about $200 or more to get that waiver. I fretted and fumed and gnawed at the hard keratinized skin on the sides of my fingernails over the sudden appearance of the “check engine” light. I prayed it wasn’t something like the cylinders misfiring, as was the case with the old Taurus I finally sold (that car had 6 cylinders and “ran” on about three of them). But other than that unnerving engine light, everything seemed fine. The engine wasn’t bucking or stalling or having trouble getting started in the morning and besides, a full tune up was done just before I bought this car last March (it’s a ’99 Toyota Corolla). Yesterday on my way home, I heard an AutoZone commercial. It empathized with me about how traumatizing the “check engine” light can be, and then it told me it could be caused by a missing gas cap. Hearing that was like finding out that a swollen mole you thought might be cancer is just a garden variety mole with a pimple hiding under it. Dare I hope? I rushed over to the nearest AutoZone (there’s one on my corner) and approached a friendly looking staff member behind the counter. “Is it really true a missing gas cap can cause my check engine light to go on?” I asked the man at the counter. “Your commercial told me that’s what it could be. Is it really true?” I continued, excitedly. He must have thought I was a complete idiot but I didn’t care. I just wanted my problem resolved and thought he might be my man. “Yes, it’s true, because without it, oxygen can get into the fuel line and interfere with the engine’s running, ” the smiling (or was it smirking?) clerk informed me. Then he presented me with a new gas cap for my car’s model. It came in a tiny little cardboard box and everything. I was told I’d have to run the car for about 50-75 miles before I could expect to see the engine light go off. In a day or so, I’ll let you know if it worked. This entry was posted in cars, humor and tagged AutoZone commercial, car problems, car trouble, check engine light, good advertising, missing gas cap by luckyotter. Bookmark the permalink. That is probably the most specific story of perfect advertising that I’ve ever heard. How lucky you were listening just when you needed to! I think I am going to write them a thank you letter, if my check engine light actually goes off. Maybe they’ll quote my post in a new commercial! Wow I hadn’t thought of that. Could be!